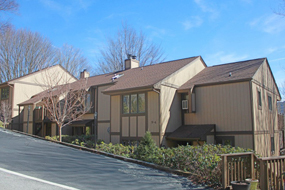 The charming and quaint mountain town of Banner Elk, NC, is just a few minutes from our Sugar Mountain rental homes. 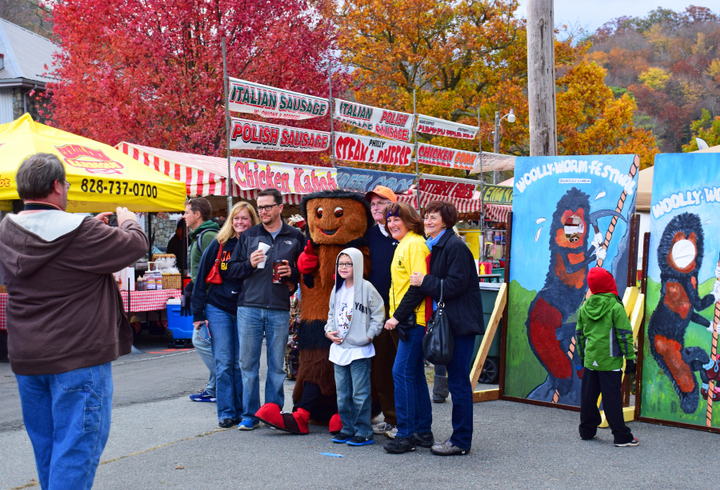 Bring the family and join us for the annual tradition of the Woolly Worm Festival, the largest Fall event in Banner Elk. 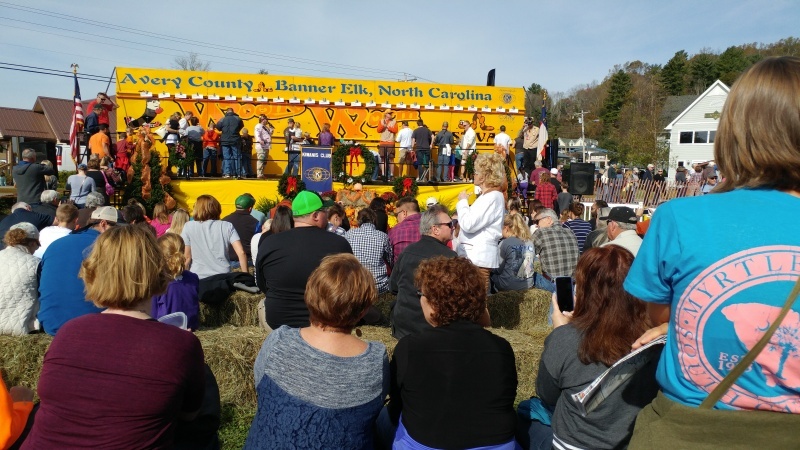 This festival is one of the most entertaining and exciting family-oriented gatherings each fall that is steeped in local lore. 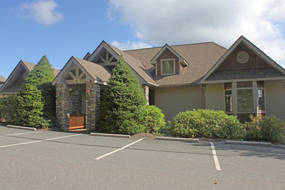 It is an ideal encapsulation of what makes the town of Banner Elk, NC and the enchanting Sugar Mountains worth visiting time and time again. In 1978, a handful of people gathered together in the freezing cold of late October in Banner Elk to witness the first Woolly Worm Festival which included the inaugural race. Today that festival features over 20,000 people, 1,000 worm trainers, 160+ vendors and a full media crew. This incredibly fuzzy and cute local “worm” is actually the caterpillar form of the Isabella tiger moth. The late summer and early fall brings out many worms in the area, preparing for the upcoming winter by finding a nice spot to hibernate to protect its cells. Woolly worms have 13 segments, which represent the 13 winter weeks according to local lore – a brown segment represents a mild week of winter. A black segment means brace yourself- it will be a tough week. Jim Morton, the event’s founder, knew about the legend of using woolly worms to forecast the winter weather. But, with thousands of woolly worms in the area, how would anyone know which one to choose? There needed to be a selection process. He came up with the idea of combining this local legend with a race featuring these fuzzy creatures and making a community event out of it – the winner being selected as the “trustworthy” woolly worm who would give an accurate forecast. Thus, an annual festival was born, and this year marks the 41st Woolly Worm Festival, going strong as ever. As festival leaders organize a milestone celebration, the conversation turns towards making this festival the biggest and best of all the Sugar Mountain events. This leads into the central event of the Woolly Worm Festival, and the thing that brings perhaps more passion and competition than any other local event – the races. The event is designed around a multitude of woolly worm races, through which one worm truly decides the fate of the upcoming winter. Every person who brings a worm and registers at the beginning of the event is eligible to race. This includes all ages, locals and non-locals. Every heat features 25 worms, and the first race begins at 9:30 a.m. The winner of the final race among about 1,000 official worm entrants will win a grand prize of $1,000 and the distinction of being the official woolly worm of the year. Viewers and participants hope it is a brown one for a mild winter. The festival is one of the most creative community-focused events near Boone, NC. It is also a showcase for local food from some top-tier vendors, fun attractions including live music, and more. You can seek out the perfect take-home gift or lunch from dozens of vendors. The event always runs the third weekend in October, this year it is the 20th and 21st. It will begin nice and early at 9 a.m. on Saturday morning and end at 4 p.m. It will pick back up Sunday morning at 9 a.m. and continue into the late afternoon. You can come and go as you please, and arrive later in the afternoon to catch some fun and fascinating woolly worm thrills. You can buy tickets ahead of time at woollyworm.com or pay for tickets at the event. Buying tickets online means you can skip the line and save some time! The prices are $6 for all adults, $4 for children, and free for children under 5. The admission costs go directly towards supporting community initiatives, developing children’s programs in and outside the school, and promoting future tourism and development. It is a powerful way to support the local community and bring a renowned and fresh new focus to Avery County. You are able to park for free right outside the Woolly Worm Festival grounds. Further parking is available, as provided by independent businesses and local business owners, and the price may vary. There is something uniquely enjoyable about this event that you just have to see in person. Seeing the kids and adults scream, the competition heat up, and visitors arriving from all over to take part in the local lore is incredible. 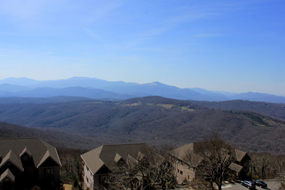 Come visit Sugar Mountain and stay at one of our acclaimed local vacation rentals this October. 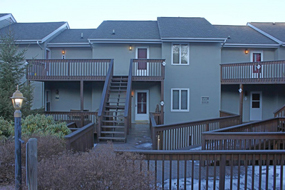 Their close proximity to local attractions like biking, hiking, golfing, wildlife viewing, and events like the Woolly Worm Festival make our rentals the perfect place to settle in.